Story No. 1. I’ve heard back from one of my former clients that student loans are now harder to get than they were before filing. In fact, that particular person seems to have been cut off entirely from student loans. It means for that client, who happens to have been employed as well as in school, that money will have to be set aside in advance before going back to school. So there is an unexpected delay in educational plans. It may be significant that this was a person who was relying on private student loans, not government student loans. There’s what appears to be good article on the subject of bankruptcy and student loan eligibility at finaid.org. They say that bankruptcy should not effect eligibility for government student loans, but that it is common for there to be a problem with private student loans. This might explain why I haven’t been hearing from most of my clients or former clients about any such difficulties. I believe that most of my clients, if they do have an ongoing financial aid program at a college or school, are using government lenders not private lenders. Story No. 2. Again, it’s a problem with a private lender. Client is no longer in school, but has a student loan and wants to keep paying. However, for several months now the client has not been able to find anybody who will accept the payment. There seems to be a musical lender shell game in progress. After the bankruptcy filing, the original lender seems to have transferred the loan to another institution. The new lender seems to have transferred it again, but the client can’t seem to find out where. I’ve made some calls about it, but it seems impossible to get a real person. When one does get a real person, they just say you’ll hear from someone soon. But so far that’s not happening. Frankly I wonder if someone has lost the file. The problem is of course that student loans don’t ever really go away, and sooner or later this thing is going to pop up with somebody demanding payment. And I’m sure whoever it is won’t be forgiving any of the interest that has been accumulating during this time that the loan seems to have disappeared. 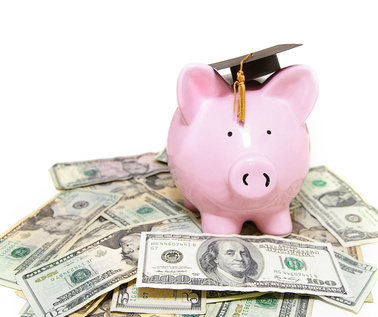 I’ve been telling my clients that if they will be needing more student loans after we file, then they better check with the lender and their financial aid office at school to try and get a preview in advance as to what the effect of the bankruptcy might be.